Singapore was once described as the playground for the rich; however, today, it’s a playground for the visitor who loves its vibrant history, fabulous attractions and marvelous public places. All these things make visiting Singapore worthwhile, along with its high-end shopping malls and luxury hotels. Singapore’s excellent public transportation system makes getting around a total breeze. Everyone speaks English and that’s one more comfort. In fact, the city of Singapore is one of the most comfortable to travel, whether as part of a group or by yourself. Here are 10 of Singapore’s top attractions for you to see when you visit this leonine little country. 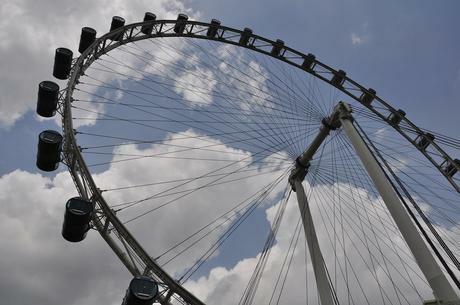 If views are your thing, then head to the Singapore Flyer. Enjoy a high tea from one of the Flyer’s acrylic capsules as you take in the view of the city of Singapore.Various packages are on offer at the Singapore Flyer, including spa, dinner on board, drinks on board and so on. The views encompassnot just the city skyline, but reach all the way to Malaysia's Straits of Johor and the Spice Islands of Indonesia. Each ticket includes entry into the multimedia Journey of Dreams exhibit on the Flyer that takes you deep into Singapore's history and how the Singapore Flyer was created. Each flight lasts 30 minutes each on the Singapore Flyer, one of the top tourist attractions in Singapore. 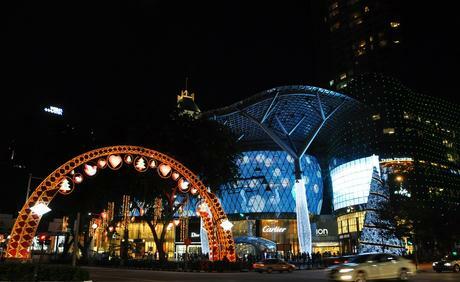 Orchard Road is one long road that’s dedicated to the one of the greatest pleasures in life – shopping. There are high-end retail outlets at every turn. There are 22 malls and six department stores on Orchard Road, plus four movie theatres including a KTV karaoke and an IMAX. The MRT stops at several points adjoining Orchard Road and offers excellent and quick transport to the city. The best part is, you don’t have to go hungry while shopping. The entire road is strewn with eateries of every description, serving local and international cuisines. 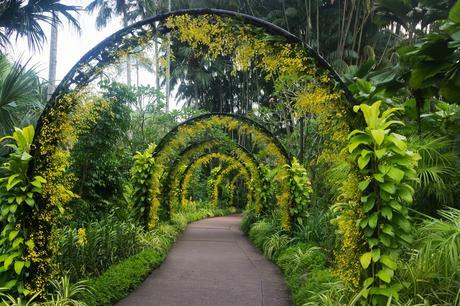 The Singapore Botanic Gardens was awarded Singapore’s very first UNESCO World Heritage nomination for its lush green beauty. Singapore is a concrete jungle, and the Botanic Gardens bring in the much-needed fresh air. The gardens preserve greenery from Singapore's wilder heritage, conserved along the beautiful walking trail. The impressive National Orchid Garden is another breath of fresh air, with thousands of rare orchid plants blooming, suffusing the air with their unbeatable perfume. Be sure to enjoy the other attractions – the eco-garden, eco-lake, sculptures, bonsai garden and much more. 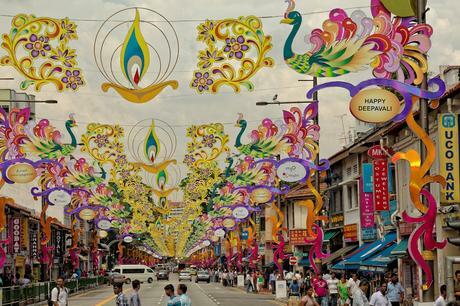 Singapore's Chinatown literally brings China to life in this tiny island. Everything is a true replica of Chinese heritage – the tiny stores, the authentic Chinese food, the bright red lanterns and the vibrant Chinese festivals that are celebrated every year. The entire district is filled with a hustle and excitement that’s uniquely Chinese. Visit the Chinese Heritage Centre to understand more about Chinese culture. Check out the impressive and beautiful Sri Mariamman Hindu temple, Singapore’s oldest temple. Also visit the Buddha Tooth Relic temple, which contains an actual tooth of the Buddha. You’ll find heritage markers all over the district in multi-languages to help you understand the significance of the area. Be sure to visit the progressive Ann Siang Hill area with its upscale boutiques and quaint bistros. You can glimpse the Gardens by the Bay from the top of the Marina Bay Sands as well. However, nothing can prepare you for the real deal. 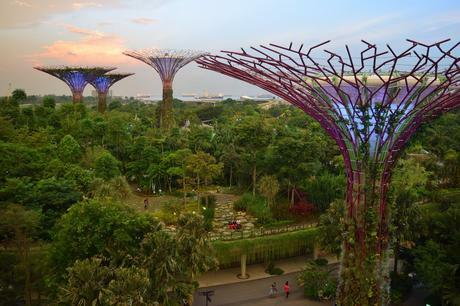 Enjoy the vibrant plant life at Bay East Garden and explore the fascinating Supertree Grove, which contains clusters of the tall futuristic treelike structures that perform environmentally sustainable functions. Visit the Cloud Forest Dome to check out the world's tallest indoor waterfall, a true sight for sore eyes and well worth obtaining a Singapore visit visa just to see it! 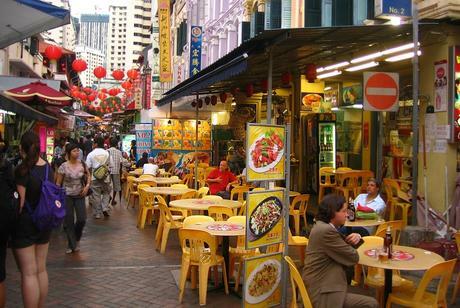 Singapore’s cultural and ethnic diversity is what makes this city so very interesting for the tourist. Little India is a little drop of India in Singapore. All the traditions, colours, languages and festivals of India are faithfully replicated here. The Indian community has a rich background in Singapore, having been ensconced in city since several centuries. In fact, the name Singapore means Lion City, and it’s derived from the Sanskrit and also Tamil words ‘Singa Pura’. Little India is a thriving, colourful place where traditions are observed and where you can buy Indian Jewellery, sarees and colourful Indian dresses. Touted as the world’s best rainforest zoo, the Singapore Zoo houses a number of animals including the most impressive orang-utans. There are chimpanzees, zebras, meerkats, mole rats, white tigers, a komodo dragons, kangaroos, and several others. Sign up for the exciting Night Safari, where you can enjoy watching animals from 7 geographical zones, going about their business at night. 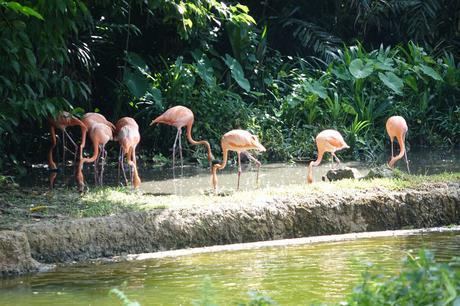 The Zoo also organizes a River Safari, including a trip into a giant panda forest, and the Jurong Bird Park. Be sure to enjoy the Singapore Zoo Breakfast with the Orangutans, a special treat that comes as part of a half-day zoo tour. If you’re craving some serious time in the sun with plenty of fun thrown in, head to the Sentosa Island. Siloso Beach is a good place for some beach bumming, and you can even go kayaking and skim-boarding. There’s an Underwater World aquarium where you can enjoy watching deadly sea creatures through an acrylic tunnel and even swim with dolphins. Be sure to take the escalator to the top of the huge Merlion and enjoy panoramic views of the surrounding area. Head over to Fort Siloso, Singapore’s only preserved fort. The Marina Bay Sands resort complex comprises of shopping mall with a canal running through it, a luxury hotel, several high-end luxury retail outlets, an ArtScience Museum, and the piece de resistance – the Marina Bay Sands Skypark, which offers an excellent vantage point to obtain the most scintillating views of the entire city. 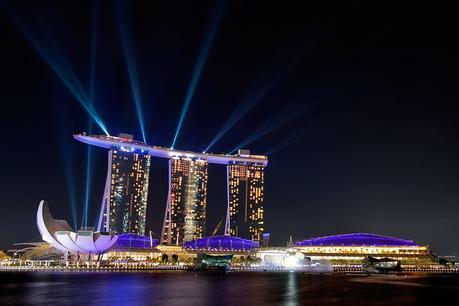 The Skypark is actually a ship that sits atop the Marina Bay Sands hotel. The viewing deck is on the ship, along with a much-talked-about infinity pool. From the deck, you can get fabulous views of the double helix bridge, the Gardens by the Bay, and the impressive cityscape and the port. Grab a snack and some coffee from the rooftop restaurant and enjoy some fabulous views. 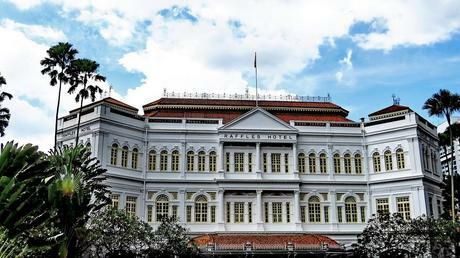 Raffles Hotel is the last grand colonial hotel in the city, which was once patronized by luminaries such as Joseph Conrad and Rudyard Kipling and Charlie Chaplin. The hotel was built in 1887; since then, it has served Singaporeans with excellent food and service. Explore the tropical gardens around the hotel and the building’s refined architecture and the incredible paintings on the walls inside the hotel. There are several other historic sites nearby such as the Raffles Landing Site, the place where Sir Stamford Raffles stepped ashore in 1819 and decided to purchase the town of Singapore for development. 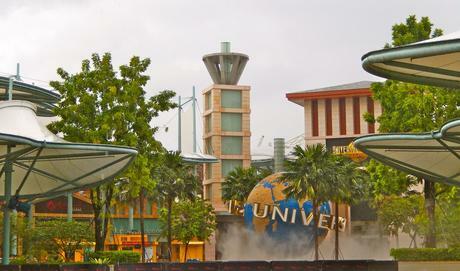 ConclusionSingapore, veritably, is the playground of the tourist. You can visit this city any number of times and simply not get bored. Each time it will feel like you missed out on something the last time. It’s a city that you get hooked on.